Last year’s event was a huge success. Along with a great golf environment and a fabulous dinner experience provided by the terrific staff of Apple Mountain, we were able to provide some exciting gifts and opportunities to raise significant dollars for what we all know is a very worthwhile cause. And it won’t stop. The One Hundred Club will continue to support those families who have lost their heroes, and we hope that you can join us again this year. The 100 Club of Saginaw was created to acknowledge and repay the people who have risked their lives to protect ours. 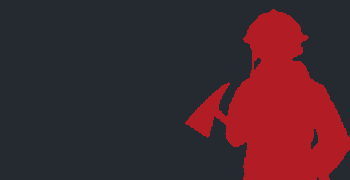 This organization feels a sense of duty to those who insure our safety. 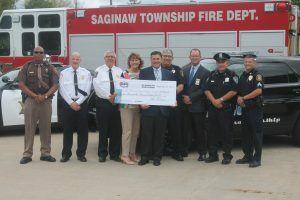 It is an organization of Saginaw Area residents who contribute money each year for the benefit of families of police officers, firefighters, and FBI and A.T.F. agents who have been killed in the line of duty in Saginaw County. There are more than 100 clubs throughout the United States, of which the most notable is in Detroit, the original such organization. The 100 Club of Saginaw was founded in 1996 and meets twice a year, an annual meeting in the winter and a summer meeting when we honor police officers and firefighters for heroism or other acts above and beyond the call of duty.